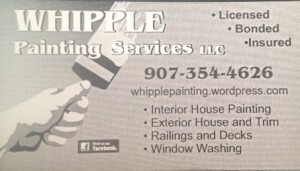 If you are looking for good painters in the Palmer or Wasilla area, you need to call Whipple Painting Services. These men grew up in the Valley. 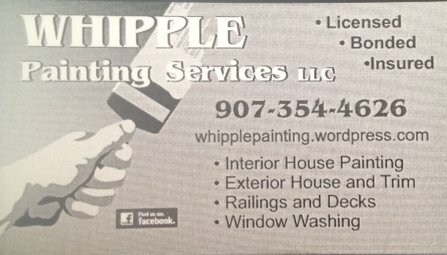 Support the local guys, give them a call!